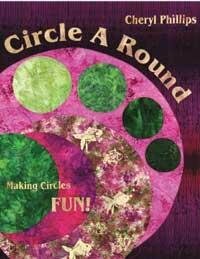 The Circle A Round book contains a series of exercises are designed to take you step by step through the process of setting in and layering circles. Framing circles will have your creative spirit spinning round and round. The full color book includes a 18 page gallery.